Dozens of Republicans voiced their disdain against President Donald Trump’s travel ban, which prohibited people from seven Muslim-majority countries from entering the U.S. for 90 days and suspended the admission of refugees into the country for 120 days. 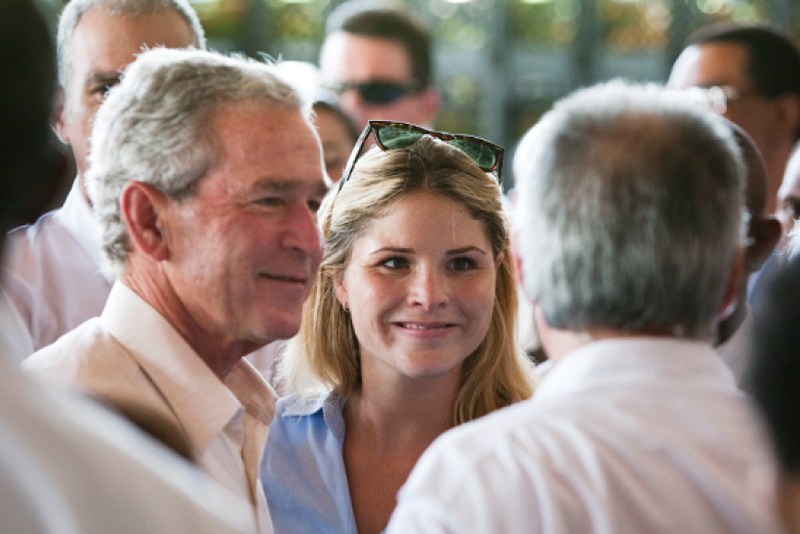 One of the Republicans who spoke out was former President George W. Bush’s daughter, Jenna Bush Hager. Hager took to Twitter Tuesday to share her sentiments over the travel ban, which was issued Friday, and said, “This is not the America I know,” while quoting an excerpt from her father’s famous 9/11 speech that encouraged citizens to treat fellow Muslim Americans with respect despite the horrific attack carried out by Muslim terrorists on Sept. 11, 2001. “Just a reminder this am to teach acceptance and love to our kids for all races, all religions,” she continued. As outraged sparked across the country and at several airports worldwide, other Republican Party members started to weigh in. “Enhancing long-term national security requires that we have a clear-eyed view of radical Islamic terrorism without ascribing radical Islamic terrorist views to all Muslims,” Flake added. Along with McCain, Graham, Dent and Flake, 12 other party members have also denounced Trump's travel ban in some capacity, including: Sen. Ben Sasse, R-Neb. ; Sen. Cory Gardner, R-Colo.; Sen. Dean Heller, R-Nev.; Sen. Jerry Moran, R-Kan.; Sen. Susan Collins, R-Maine; Rep. Barbara Comstock, R-Va.; Rep. Justin Amash, R-Mich.; Rep. Brian Fitzpatrick, R-Pa.; Rep. Leonard Lance, R-N.J.; Rep. Ileana Ros-Lehtinen, R-Fla.; Rep. Will Hurd, R-Tex. and Rep. Elise Stefanik, R-N.Y.